We are a well-reputed firm that manufacture, export, trade and supply an extensive range of Strapping Tape for Steel Packaging in Sarigam INA, Gujarat, India. Offered tape is manufactured by our professionals incorporating best in class raw material and most recent techniques to ensure its flawless range at user’s end. 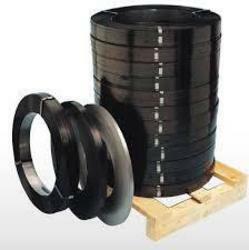 This Strapping Tape for Steel Packaging can be obtained from us at nominal rates. We, at Leela Polyplast India Pvt Ltd, always work to provide high quality products that combine performance with value pricing, while establishing a successful relationship with our customers and our suppliers. To constantly strive to meet and exceed our customer needs and expectations of price, service, and selection. To this end, we will perform periodic reviews of the marketplace to innovat e our offerings.